Recently, I was reflecting back on Phantasy Star II, a game that was very memorable to me despite some of its shortcomings. I would go so far as to say that at the time of its release, it was one of the best JRPGs out there. Years later when Phantasy Star III: Generations of Doom arrived, it was heavily panned by most critics and even most of my friends. Was it really so bad? I played through it few different times, but I had not touched it in many years, so I decided to go back and see for myself. The biggest issue with Phantasy Star III: Generations of Doom is that it felt like a rushed game that did not bring much new to the table. There were some great melodies on the soundtrack, but everything else from the visuals, which were dated on release, through to the tried and true yet steadily aging combination of turn-based combat mixed with random encounters rubbed a lot of people the wrong way. If anything the combat was less tactical than ever as skills were less important and you could set combat on auto-battle and still win the majority of the time with little to no manual intervention. People were, at the time the game was released, steadily moving away from the kind of experience that Phantasy Star seemed intent on offering, in other words. It was interesting to me that even though I had not played the game since the early 90's, that I could recall so much of what I was supposed to do while playing upon playing it today. Whatever deficiencies in gameplay Phantasy Star III: Generations of Doom possessed, the ability to branch the story in a couple of select places clearly stood out to me as evidenced by it being such a memorable feature so many years later. The story begins with a young man named Rhys, the prince of the Orakian kingdom of Landen who tries to rescue his would-be bride Maia after she is kidnapped in the opening moments. 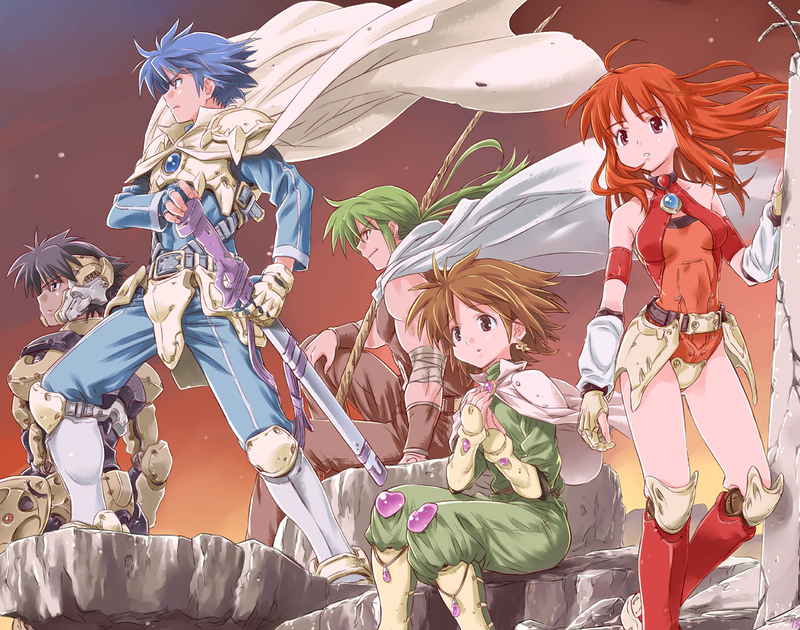 Along the way Rhys meets up with various characters such as Lyle, Mieu, Wren and Lena and adds them to his party in pretty traditional JRPG fashion. Where Phantasy Star III really hooked me was that when you reach the end of Rhys' adventure he can choose to marry either his initial betrothed Maia, or Lena. The story then shifts to one of two new protagonists: Ayn if you choose Maia and Nial if you choose Lena. Here we have the same basic storyline or at least major list of events regardless of which child you assume control of, but the story is told from a very different perspective. Few JRPGs offered me this kind of replay value and it fascinated me at the time. I beat many JRPGs multiple times, but had to settle for the knowledge that there were no surprises and that my story-heavy experience would be essentially the same regardless of what I tried to do differently on subsequent playthroughs. But Phantasy Star III offered me new stories and different characters to use along the way. The title continued to live up to its Generations subtitle as at the conclusion of either Nial's or Ayn's story, there is one more point in the game where your characters can choose differing love interests. This essentially fragments the game's final third into four different potential acts with four different endings. I played through three of them originally, but had just never gotten around to the fourth one. This made replaying this game now worthwhile if for no other reason than I actually get to enjoy a different storyline, all these years later. I am happy to say there were still plenty of surprises for me, because while I remembered a lot of the key events, there were plenty of little things that a couple of decades away from the title had fogged up in my mind, and that last act does have the ability to be surprising, even if you have completed other narrative paths. However, I have to admit that the overall package that is Phantasy Star III: Generations of Doom proves to be a lacking one, even today. 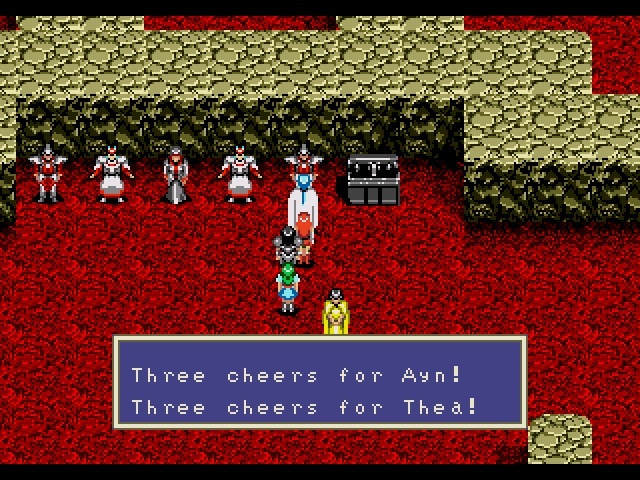 Despite its status as living in the Phantasy Star universe, it never really speaks to previous games in the series, combat really is as simplified as by reputation (and my memories), and while the branching narrative itself was both novel and impactful to future video games, the actual storytelling was simple and a little boring even by the standards of that era. I cannot help but think that if the developers would have published this game under a completely different title, it would have been much more warmly received simply because it would not be so heavily compared to its more popular predecessors. I certainly enjoyed my trip back to the Phantasy Star series, even if I can admit that outside of its primary hook of branching narrative it is only an average example of an JRPG from that era. Still the importance of the branching storyline cannot be underestimated as it has been a huge part of JRPGs since the release of Phantasy Star III. This was arguably the first JRPG that actually had true replay value. Certainly there were plenty of JRPGs prior that had hidden items or bits of story that helped to make subsequent playthroughs worthwhile, but this was one of the first times I could recall making actual decisions that had a major impact on the storyline. In the handful of games prior and immediately after that 'choices' were made available, they generally impacted the next line or two of dialogue and little more. Here the outcomes affected starting locations, who your characters were and entirely different perspectives on how the overarching story unfolded. 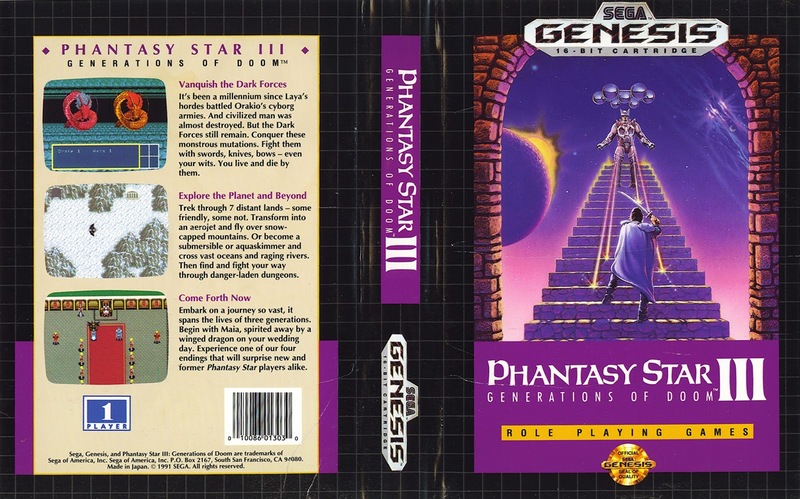 Considering how many JRPGs now make use of branching narrative paths to give players different endings to gun for, I think it is safe to say that despite its shortcomings as a game, Phantasy Star III: Generations of Doom was a more important video game than many people realise or give it credit for. Item Reviewed: Retro Reflections: On one of my first branching story JRPGs 9 out of 10 based on 10 ratings. 9 user reviews.